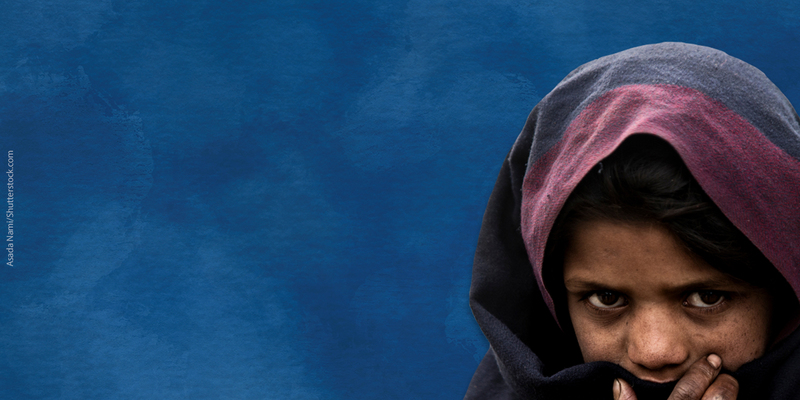 UNESCO is joining Global Action Week for Education 2019 (24 April to 1 May) and calling for the ratification of the Convention against Discrimination in Education, the only legally binding international treaty exclusively dedicated to the right to education. The Convention, a cornerstone of the Education 2030 Agenda, highlights States' obligations to ensure free and compulsory education, promotes equality of educational opportunity and prohibits any form of discrimination. UNESCO is urging its Member States that have not yet ratified this key instrument to do so as it represents a powerful tool to advance inclusive and equitable quality education for all. 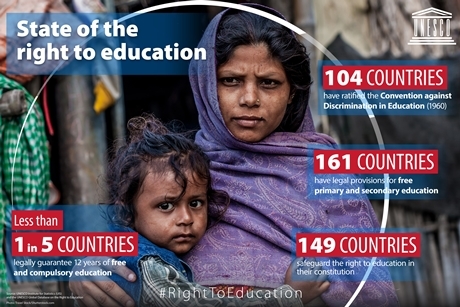 UNESCO’s #RightToEducation digital campaign aims to bring global awareness of this crucial human right, which is still not a reality for millions, and empower young people and adults to bring about change in their communities. Join the campaign by helping spread UNESCO’s messages about this key human right with the power to transform lives around the world! What is the "Right to education handbook"
What can I do to help advance the right to education?